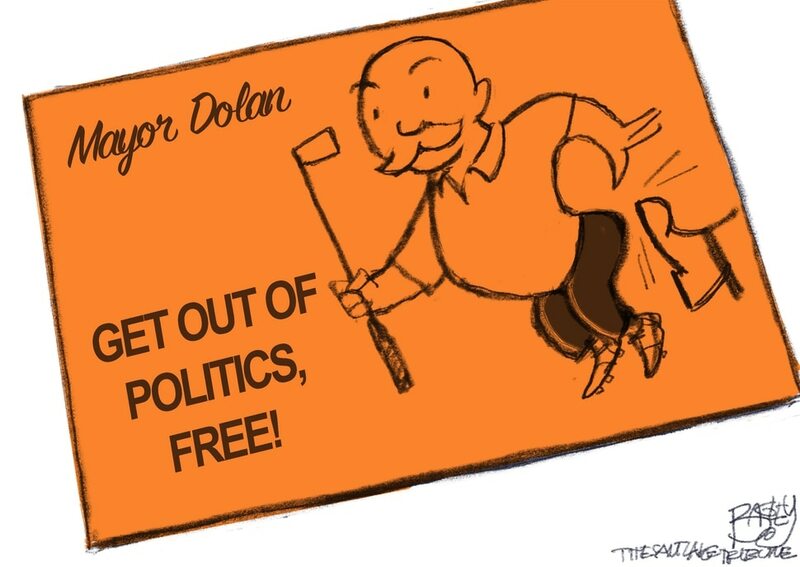 (Pat Bagley | The Salt Lake Tribune) This Pat Bagley cartoon, titled Sandy Voters Free Up Mayor Dolan's Future, appears in The Salt Lake Tribune on Tuesday, Nov. 14, 2017. 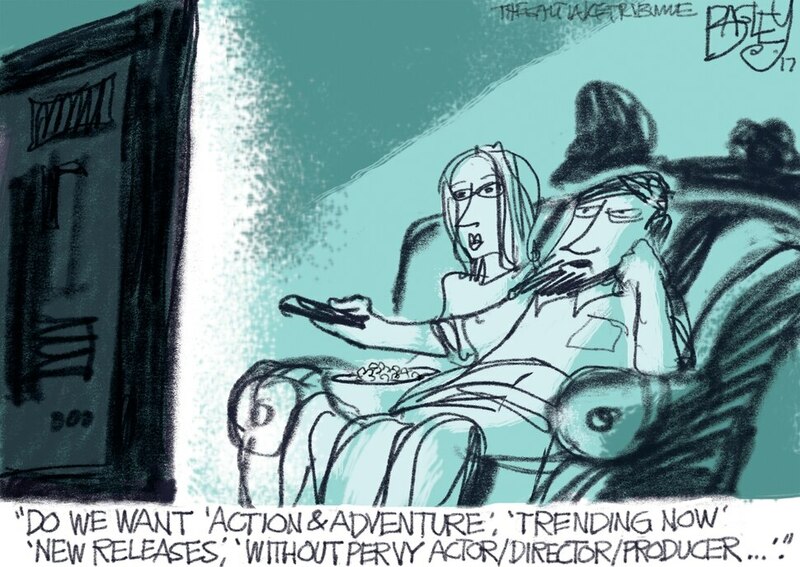 (Pat Bagley | The Salt Lake Tribune) This Pat Bagley cartoon, titled Nothing Good on TV, appears in The Salt Lake Tribune on on Friday, Nov. 10, 2017 (Pat Bagley | The Salt Lake Tribune) This Pat Bagley cartoon, titled The Upside Down, appears in The Salt Lake Tribune on Tuesday, Oct. 31, 2017. (Pat Bagley | The Salt Lake Tribune) This Pat Bagley cartoon, titled Arch Conservatives, appears in The Salt Lake Tribune on Sunday, Oct. 29, 2017. (Pat Bagley | The Salt Lake Tribune) This Pat Bagley cartoon, titled Republicans With Principles, appears in The Salt Lake Tribune on Friday, Oct. 27, 2017. (Pat Bagley | The Salt Lake Tribune) This Pat Bagley cartoon, titled What Hate Speech Looks Like, appears in The Salt Lake Tribune on Thursday, Oct. 26, 2017. 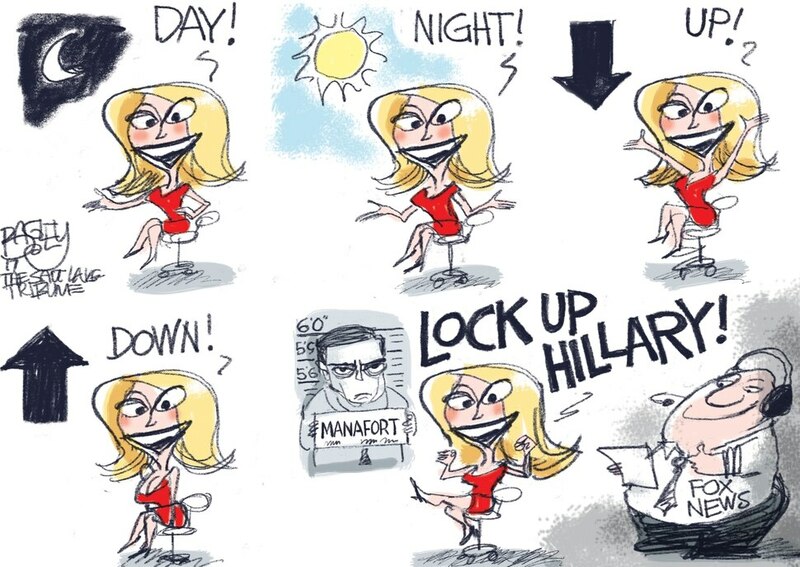 (Pat Bagley | The Salt Lake Tribune) This Pat Bagley cartoon, titled The Lying Press, appears in The Salt Lake Tribune on Tuesday, Oct. 24, 2017. This Pat Bagley cartoon appears in The Salt Lake Tribune on Wednesday, Nov. 15, 2017. Want more?Become a fan on Facebook.